If it wasn’t for the registration restrictions, this would get the full five stars. If you are 18-34 and female, register right now. Pinecone Research offers a more unique view of online survey taking, as it refers people to take new product questionnaires and even take a look at the prototype of the unreleased product so they can feed back to the company in question. The surveys are a little shorter than other surveys but they require a little more detail in answering the questions. They still only take around 15-20 minutes but they pay a larger amount per questionnaire at £3 each. This is a great way to earn extra money online, although there are some provisos and it can be tricky to be accepted. While it can be difficult to be accepted, once in, you can really make some money quickly and for most people, it’s more about the thrill of being part of the product creation and helping the firm know when to sign-off of releasing the product into the marketplace. At the moment, Pinecone are looking for females to take surveys that are aged 18-34 years old. The firms that use Pinecone are more than happy to pay for a review of the product and any reports on faults or problems. Being one of the first people outside the factory to see, touch and use the product, Pinecone clients are within an elite few that can make money by relaying their thoughts and views about the product in question. 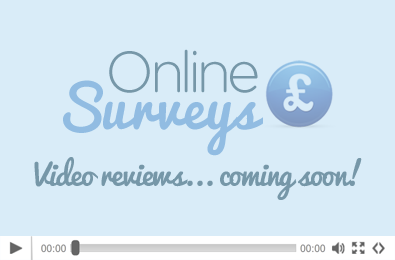 With a low minimum payment threshold, the ability to be paid by PayPal or cheque and a monthly sweepstake that can be up to as much as £500 per month, it’s one survey company that you really need to try and get accepted for. If you qualify for the role as a survey product tester then you can really boost your income each month just from spending a little time on the surveys and giving your opinion about the products that are either sent to your home or on-screen in an email.